This is the most universell starter tank and also a pure damage dealer. The Helicopter gets his advantages through his ‘Bombardment’ ability against ground tanks, but can also fight dead level versus other air tanks (a must have in this case is to skill his passive movementspeed ‘Jet Propulsion’). Special note: his ‘Triple Rocket’ is the sole air tank stun in this game. 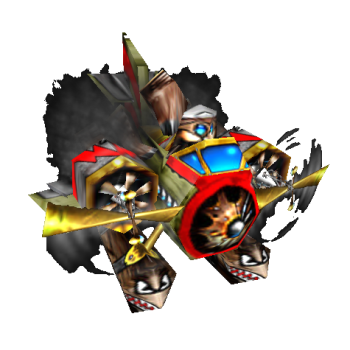 Bombards an area with Bombs, causing damage to enemy ground units. Throws a Fire Bomb at the target unit, causing damage in an area.